After a year’s break the Le Mans Classic returns in 2018 for another weekend of motor racing nostalgia. As the Le Mans 24 Hours is the pinnacle for modern endurance racing, then the Le Mans Classic is the ultimate in historic motorsport. The Le Mans Classic brings together only cars that once raced during the Le Mans 24 Hours, back to their spiritual home for another performance in front of a huge crowd at Le Mans. And this isn’t a parade. This is proper racing on the full Le Mans circuit. Professional and amateur drivers going head to head, in machinery designed and prepared specifically for Le Mans. There is a full 24 hours of racing. Even the traditional Le Mans start is recreated. However it would be impossible to race 1920s cars against those from the 1970s or 1980s, so the cars ares split into different grids depending on the era in which they originally raced. Traditionally the Le Mans Classic has comprised of six grids covering the years from 1923 through to 1979. For the Le Mans Classic 2018 there will also be an additional “guest grid” featuring the Group C cars that dominated at Le Mans during the 1980s. Each grid will appear on the circuit multiple times throughout the 24 hours, enabling spectators to see racing through dusk, evening and night, through dawn and back to day again. This is why no other historic motorsport event can compete with the Le Mans Classic. Where else can you see a Jaguar D-Type glisten in the sunrise as it sweeps under the famous Dunlop Bridge? More than 120,000 spectators already agree, and expect that number to rise in 2018. There is more to the Le Mans Classic than just the on-circuit action. This event has become a mecca for car clubs from around Europe. The infield is turned in to a classic and sports car car park for more than 8 thousand vehicles of all ages and manufacturers. This magnificent display is worth the entry fee alone. In addition there are anniversary displays, a classic car auction, memorabilia stores as well as food outlets and even a cinema, all with a vintage theme. 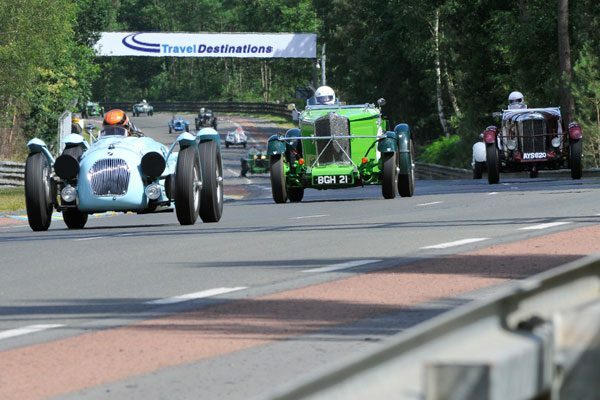 Travel Destinations is an official ticket agent for the Le Mans Classic. This puts us in the privileged position of being able to offer our customers the best options for travel, tickets and accommodation for the Le Mans Classic 2018. 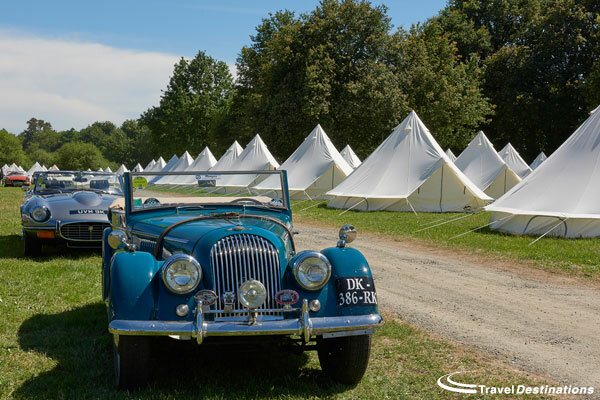 Travel Destinations has a number of exclusive options including private trackside camping, glamping and a pop-up hotel all on the famous Le Mans track, so you can’t stay any closer to all the action. 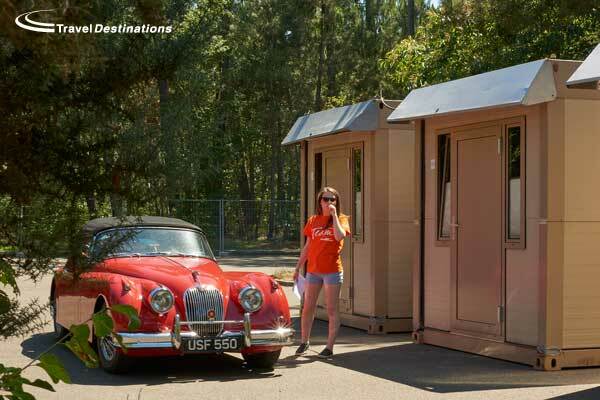 Travel Destinations has two different trackside campsites for the Le Mans Classic 2018. Both offer 24 hours security, fully serviced showers and toilets as well as a hospitality marquee serving food and drinks throughout the weekend. The difference is in locations and the view. Our Hunaudieres campsite is located on the inside of the Tertre Rouge corner, overlooked by the football stadium (the MM Arena). The campsite is surrounded by a wall, but there is a public viewing bank overlooking Tertre Rouge corner just outside the campsite entrance. Our Porsche Curves campsite is our traditional camping location for the Le Mans 24 Hours. This campsite has a unique and exclusive private viewing bank that overlooks the famous Porsche Curves. Both locations are hugely popular and have sold out in recent years, so booking early is recommended. The Travel Destinations Event Tents are another very popular option. Located near to our Porsche Curves campsite, the Event Tents are our pre-erected glamping option for those not wishing to pitch their own tent. Each tent is 5 metres in diameter and coming fully carpeted, with mattresses and all bed linen, giving the perfect environment for camping at Le Mans. The Event Tents are erected in their own private campsite, with 24 hours security, fully serviced showers and toilets and a hospitality marquee. There is plenty of room for car parking too, enabling people to travel in their sports cars and park in a secure area in-sight of their tent. This option was another sell out for the last Le Mans Classic in 2016. For those that don’t wish to camp, the Travel Destinations Flexotel Village is the perfect solution. We build this exclusive pop-up hotel in the centre of the circuit, to enable guests to have their own private bedroom within walking distance of the track. Each room can sleep two people in proper beds supplied with all bed linen. The Flexotel Village is located within its own private paddock (not on grass) with plenty of room for car parking. Guests can choose between a standard room or one with their own shower & toilet room. There are also separate shower and toilet blocks for guests and a hospitality marquee on-site. All guests at the Flexotel Village will also receive a full picnic basket for the Saturday of the Le Mans Classic. Travel Destinations have a number of off-circuit options too, including hotel rooms, B&B properties and private camping areas all within a short drive of the Le Mans circuit. 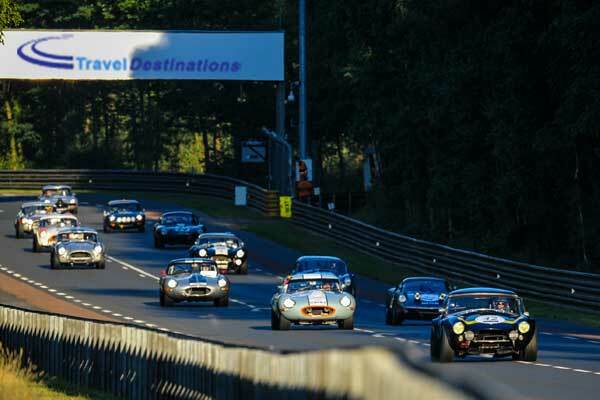 All Travel Destinations offers include general entrance tickets as well as access to the Le Mans Classic paddock. Grandstand seats, circuit laps & other optional extras can also be added on request. 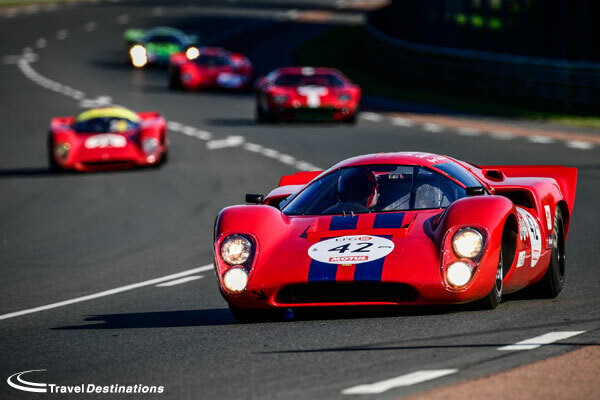 You can book your place at the Le Mans Classic NOW! Prices for all our travel & ticket options are available on this website and bookings can be secured with a small deposit. Please call our knowledgeable reservations team now on 0844 873 0203 to discuss the best options for you and to reserve your place the Le Mans Classic 2018.